Best Wine Tasting Tours Deal in Melbourne - Guaranteed! Three Koalas Wine Tours positions itself as a provider of the most cheap PRIVATE Yarra Valley winery tours in Melbourne. In fact we guarantee it in writing and with our own money. We also offer Door-to-Door return transfer free of charge. Free pick up/drop off at your address. Lilydale, Healesville or Melbourne – it’s all the same to us – NO EXTRA COST! We guarantee you the best deal on private wine tasting tours of Yarra Valley in Melbourne. Full stop. Three Koalas Wine Tours offers you the BEST price on private Yarra Valley wine tasting tours in Melbourne. 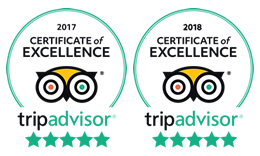 If you’ll find other accredited tour provider’s legitimate published offer of an identical or closely similar to ours private Yarra Valley winery tours at the price lower than ours, we will beat it by further 10%. And if we cannot beat it by 10% – we will include additional value in the tour to make it still the best Yarra Valley wine tasting deal in Melbourne. This is our WRITTEN guarantee. And you are very welcome to use it! * Data sourced from the other companies official public websites at the time of creating this table. How it is possible? Magic or may be Hidden Fees!? And no, no magic unfortunately :), just low overheads and low profit margins. We spend less on running the business, by working more in it ourselves. We don’t hire bus drivers (Cost – $AU400 a day at the time of writing this). We don’t publish and distribute printed brochures or advertise in trade magazines (Cost – significant). And we don’t have a call centre, even a small one (Cost – significant). Instead of putting all these expenses in the wine tour price and make YOU pay them (like other company have to do), we simply don’t have them at all and can maintain our prices of Private Yarra Valley Wine Tours cheapest in Melbourne. That simple. No magic at all!